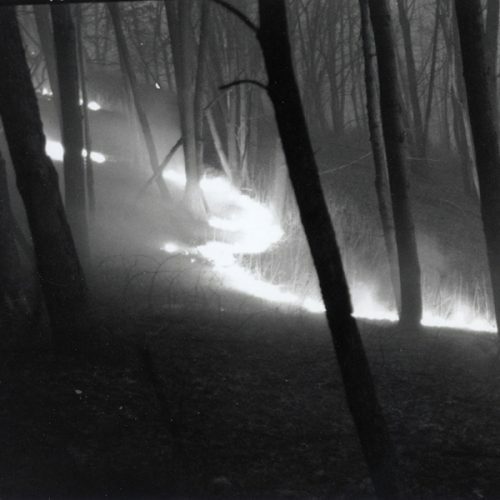 Firelines: Humans and Habitat Renewal, photographs of controlled burns in Wisconsin, is on display through May 19 in East Hall Gallery, first floor, on the Ripon College campus. It is open to the public during business hours. Mike Mossman, ecologist and historian, has worked for more than 40 years on Wisconsin wildlife and human effects on the land, its plants and animals. One of his focuses is how fire and its absence influence land use, land management and wildlife populations. Dr. Heather Sontag, exhibit curator and designer, is an independent photo historian and educator, has curated several exhibitions using collections from UW libraries and the Library of Congress online catalogue, and has worked since 2013 as an assistant archivist in the Wisconsin Historical Society conservation and digital labs. The traveling exhibit is interdisciplinary and includes elements of art, history, ecology, environmental studies, sustainability, conservation awareness, land stewardship and science. Support for the exhibit and additional programming is provided by numerous organizations and individuals, including the Lynn Post Northrop Fund of Ripon College; The Aldo Leopold Foundation; departments of Edgewood College; Empire-Sauk Chapter of the Prairie Enthusiasts; Friends of the Lower Wisconsin Riverway Inc.; the Fountainhead Group; International Crane Foundation; and Outrider Foundation Inc.
Posted April 12, 2019 in Special Event, Sustainability by Jaye Alderson.